As this post publishes on Monday, I will finally be FINISHED with my no Empty Calorie Challenge! It was a really tough 4 weeks, but I’m glad that I went through the process. Check out the blog this Wednesday as I share 5 of the biggest things I’ve learned! So how did my final week go knowing that I was so close to the finish line? It was tough…probably not a surprise! Thankfully, since I did such a horrible job with meal planning in Week 3, I knew that I wanted to turn things around and finish “strong”. For week 4, I got back to logging my meals in my planner and recording my water intake. The little things really do make a difference. Breakfasts and snacks were pretty straightforward for the week. I met my sister for lunch and had a really tasty Thai salad one day and some jerk chicken with brown rice, beans, and plantains on another day. I also took advantage of taking leftovers for lunch. When it came to dinner, we continued to use the farm share vegetables and meats as much as possible. On Saturday night, we had grilled chicken wings and grilled eggplant (that turned out amazing) along with my “famous” tuna salad and some more fruits and veggies. What I’ve loved about our dinners lately is that they are well-balanced and filling! Did I wish I had a glass of wine or some dessert? Of course! But I was able to hold out. Since I was so close to crashing and burning and was able to turn things around from Week 3, I have to give myself a B! Did I forget to mention that I went to happy hour on Thursday night and drank club soda and lime all night? Avoiding drinking isn’t that hard…it’s really the sweet treats and junk food that make me struggle. I’ve really learned a lot about my eating habits during this challenge, which is much more important than the number on the scale. My dietitian should be following up with me soon (to see that I have survived! ), so it’ll be interesting to hear her thoughts. I’ll be sure to share them with you! And if you joined along with the No Empty Calorie challenge, let me know how it’s been going! This is tougher than Lent…seriously! Monday 7/31: I went to barre class after work. I usually go on Sundays, but since I was in DC over the weekend, I moved my workout to Monday. It ended up being a great class with the same instructor I usually have on Sundays! My abs and glutes were tortured and I was doing a lot of shaking at the barre. I also did some single leg deadlifts before going to bed for additional strength training as recommended by Coach Laura. 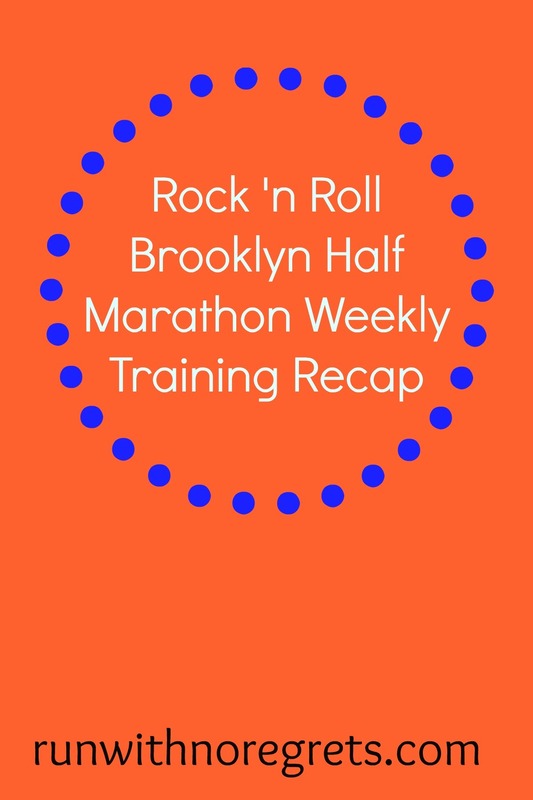 Tuesday 8/1: I ran just under 4 miles for my fartlek run. I had a 1-mile warmup and then did 10 x 1-minute intervals at hard/easy effort. It was challenging for sure, but it’s always fun to go fast for a short period of time, lol! I worked my legs pretty hard and by the last mile I felt the fatigue! Considering the temp was 86 degrees outside, I got no complaints! Wednesday 8/2: Yoga class at work with Amanda for about 45 minutes. We did a lot of work on the hamstrings, which unsurprisingly were very tight. It was definitely what my body needed. Thursday 8/3: I had a late start in the office thanks to a dental appointment, so I did my 4-mile progression run in the morning with Bret. We started together, but I let him do his own thing. Progression runs are tough for me, but for the last mile, I gave myself a count in my head and made sure to “keep the beat”. It was really tough to hold on to, but as I headed back home, it started to get easier and I finished strong – my last mile was at 9:24 pace! Saturday 8/5: Long run time. I was scheduled for 8, but I ran 8.5 since I’m a little unsure of whether my Garmin is measuring mileage accurately. I ran one of my favorite long run loops and it seemed that I hit the mile marker too soon. I have certain stretches during the run where I know it’s say, 2 miles or 0.25 miles…and they were off. So was my Nike+ watch wrong all along or do I need to recalibrate my Garmin?? That’s why I ran 8.5 to play it “safe”. The good news though is that this was a solid run for me and I felt good. Thank you, cooler temps! Sunday 8/6: I couldn’t resist getting my first barre class visit of August, so I went for my usual 10:15 class. This time, we had a sub and she really made us work! I really regretted using the 3 pound weights…those isometric movements are a killer! Later in the afternoon, I went for 3.5 miles, some with Bret, and did some trail running, neighborhood running, and a bit of walking. I’m extremely pleased with the way this past week of workouts have gone! While I did have knee soreness after a couple of my shorter runs, I had no issues during or after the long run. I’ve been continuing to go to barre class because it really helps with strength training for my glutes, hips, and core (the latter of which are my weaknesses!). I try to tell myself that it’s positively affecting my running, lol. I was glad to be able to make it to yoga, especially since we only have one more week left before our sessions break until the fall. So grading Week 2 of training is easy…I’m giving myself an A! It feels good to get back to a higher mileage, and I’m glad I was able to balance things out. Next week I have a vacation planned, so I have to make sure that I’m flexible enough to get my workouts done, by any means necessary, haha! How was your week of working out? What empty calorie item is your Kryptonite?